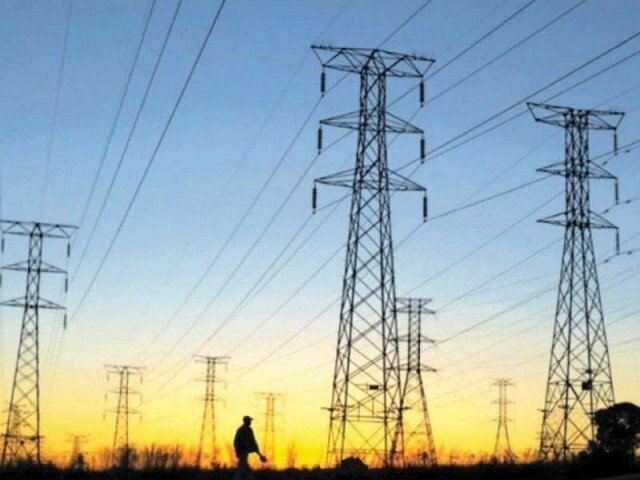 The Pakistan Tehreek-e-Insaf (PTI) government and independent power producers (IPPs) are jointly reviewing the old power purchase agreements in a bid to rectify faults and turn the deals beneficial for both sides. Power Division Secretary Irfan Ali told the Senate Standing Committee on Power on Tuesday that the IPPs had agreed to review the agreements voluntarily for creating better conditions. “The government has also offered some concessions while reviewing the power purchase agreements,” he said. The parliamentary panel met with Senator Fida Mohammad in the chair. “There are some faults on our side and some deficiencies are on their side in the old agreements,” the secretary said, adding that it was the initiative of Prime Minister Imran Khan. The premier had directed the officials concerned to hold talks with the IPPs and if there were mistakes in the agreements, those would be rectified in consultation with the power producers, he added. It was informed during the meeting that previous governments had approved the payment of return in dollars to the IPPs in which investors had invested in local currency. The IPPs were receiving 17% return on investment. The committee sought details of agreements signed with the IPPs as well as details of capacity payments made to them in the ongoing fiscal year. It was told that the government had paid Rs664 billion to the IPPs in capacity charges in 2017-18. Under capacity payments, the IPPs received hefty amounts but did not generate electricity. Senator Nauman Wazir sought details of balance sheets of the IPPs, saying that the power producers had exploited the government at the time of signing the agreements. According to their balance sheets submitted to the Securities and Exchange Commission of Pakistan (SECP), they earned 30-40% profit on their investments. The standing committee was also informed that the IPPs invested in local currency but received profit in dollars. Senator Wazir asked about payment of capacity charges to the power plants that did not generate electricity but received hefty amounts. The committee asked about per-megawatt cost of electricity while noting that there was discrepancy in approval of the cost. The per-megawatt cost for some of the IPPs was $0.5 million while for some others it was over $1 million. In early February, the Senate Standing Committee on Power was informed that the IPPs were receiving Rs422 billion annually on account of capacity payments without generating any electricity. Senator Nauman Wazir told the parliamentary panel that the power producers were receiving the hefty amount without generating electricity, which was due to faulty agreements. He suggested that the government should ink an agreement without the condition of capacity charges and the power plants should instead receive money for the electricity they generated. He said the guaranteed rate of return for the IPPs was 17%, but according to their balance sheets, they were receiving 40% return. Great. Payments should be in Pak Rupee. Aal e Shar and Zar deliberately kept these faults in the agreements. - but it is difficult to catch them as IPP are protected by international agencies/agreements, and they have been paying off government officials, media, cultural organizations and benefiting political parties especially PPP for decades. Benazir was the main culprit who sold Pakistan's future to benefit her cronies and financiers. Capacity payments.. without producing single unit of electercity in millions per years..Invested in Local but profits in $$?? What a shame..I already said.either these all IPPs plants purchase by Gov or and cancel next agreement when agreement is due to renew.Hanged BB. (She already holding answerable in grave..She can exemption).. Zardari..Nawaz or others who responsible for these agreements on treason charges..I think all IPPs have different dates of expiry of thiers agreements..Max last one is 1924.-5.. But which one is near don't extend them.Untill they agree on changes in loot mar agreements..
Kash hamari judiciary theek hoti tu in tamam Politicians ki tamam home abroad properties sale karti..ta hayaat nahil.. 10 sal qaid ba mashaqat ki Saza deti..ya jitni dair ka agreements utni saza lazmi..Kiyo ke SC ke pass ye power ha.. agreements tu judiciary bhi cancel nahi Kar Sakti lekan Jinho ne gha..dari ki..un ko tu saza de Sakti ha.. When IPPs were setup, their wasn't a shortage of power. Besides assured capacity payments, guaranteed profits and cost of equipment usage, they were allowed to 'buy' power from the existent grid and then to sell beck at even thrice the price -- all this selling and buying was merely paperwork. That went on for several years. The IPP scam was designed by the government on the name of opening up country for FDI- unfortunate there was not much of FDI either since Benazir and her cronies were involved in the scam using front foreign investors. This was among the charges when Benazir was sacked by Pres. Laghari. Those charges of front companies were later confirmed by the foreign countries as well. The funniest (or scariest) example of blatant theft was the sale of kot addu plant which had been setup using government loans. On the name of deceasing the debt burden, it was sold (handed over) to private sector converting debt to government guarantees. After of piles of paperwork by the government and the politicians and without even a penny from the buyer it was 'privatized (stolen) - but the price paid by government jumped to about three times (paid as IPP rates in cents). They have become mafia. They are ripping off govt even don't generate power in full capacity which was pre-condition for payment. Also all the payments are in US dollar which keep increasing after devaluation. Eventually increasing circular debt.